WATERLOO, Ontario, March 11, 2018	(Newswire.com) - With Ontario seeing a 68 percent spike in drug overdose deaths in 2017, a series of Truth About Drugs lectures at Resurrection Catholic Secondary School in Waterloo could not have been more timely. But the most positive thing about the series of lectures was the results. In response to a survey, more than 82 percent of the 273 students grades 9-12 attending the one-hour presentations said they decided not to do drugs as a result of what they learned. 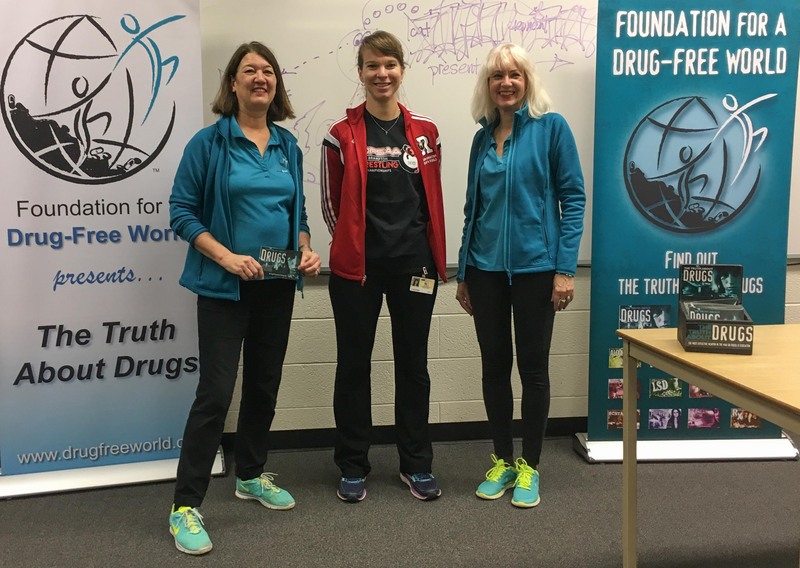 Volunteers from the Niagara chapter of Foundation for a Drug-Free World delivered the program in response to a request from the school’s student activities director who heads the physical education department. Those presenting the lectures followed the procedure laid out in the Truth About Drugs Educator’s Guide, which is available free of charge to educators, mentors, religious leaders, school resource officers — anyone wishing to provide drug education lectures. 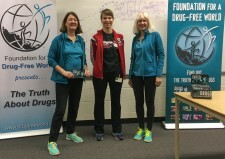 Each student received their own copy of the foundation’s Truth About Drugs booklet. The youth-friendly publication describes the mental and physical effects of drugs and how they work. It contains factual information on the most frequently abused drugs including marijuana, alcohol, cocaine, crack cocaine, heroin, prescription drugs and synthetics, or NPSs (new psychoactive substances). Next, students watched the section of the Truth About Drugs — Real People, Real Stories documentary on marijuana. Students burst into spontaneous applause at the end of the lecture. The first group’s response was so positive, teachers invited more than 100 additional students to take part in the program than originally planned. They remarked their students were engaged and interested throughout. One of the physical education teachers was struck by the effect of the program on the students, and he was surprised at how much he gained from it himself. He found he was riveted throughout the entire hour and came back for the next three lectures. “After hearing this talk, I feel even more knowledgeable because I really know the negative effects of drugs on your body as well as that they can change your life forever,” he said. The presentation was just one of 18 Truth About Drugs lectures covered in the Educator’s Guide, copies of which were presented to the school for their continued delivery of the program. Through a worldwide network of volunteers, more than 80 million copies of drug prevention booklets have been distributed and tens of thousands of drug awareness events have been held in countries across the globe. For more information, visit the Drug-Free World website or call the foundation: From within the U.S. - (888) NO-TO-DRUGS/(888) 668-6378. From outside the U.S., call 001 (818) 952-5260.